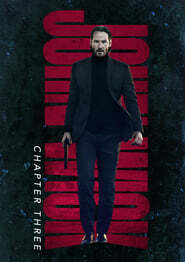 Plot: John Wick is on the run for two reasons… he’s being hunted for a global $14 million dollar open contract on his life, and for breaking a central rule: taking a life on Continental Hotel grounds. The victim was a member of the High Table who ordered the open contract. John should have already been executed, except the Continental’s manager, Winston, has given him a one-hour grace period before he’s “Excommunicado” – membership revoked, banned from all services and cut off from other members. John uses the service industry to stay alive as he fights and kills his way out of New York City. Chapter 3?! F**K YEAH! Best news I've read all day! I'm all for more John wick. But i hope they'll do some sort of prequel; when JW was in his prime. ...Or else it'll be LI'L JOHNNY WICK! Interesting, i just finished watching 'John Wick 2' the other day. The ending definitely left enough space for another sequel. "We are going to put in something about the High Table, how that all works. We’re going to put in something about where John comes from, and where he wants to go. I don’t want to say too much more, but it will be a nice completion to Mr Wick’s journey." Lionsgate announced today that the John Wick: Chapter Three release date has been set for May 17, 2019. Read earlier they are looking at doing a TV series of prior to JW1. Not just about Wick though but more centred around the Continental. Welcome to HDN btw, have fun! Thanks. Been on a mission sourcing a few steelbooks but found this sub forum and it's pretty useful.